Operating a rental property abroad can provide you with a nice income stream—perhaps a non-dollar income stream—with little hassle on your part. But it can also be a stressful experience that brings headaches and disappointing yields. And there’s one major factor that often makes the difference between these two scenarios: the property manager. A good property manager can bring you a high occupancy, provide reliable bill-paying, screen your tenants, manage any maintenance, and deliver money to your bank account…while you can keep your distance and watch. A rental agent is responsible for keeping your property occupied. They’ll do marketing, find you a renter, do any required screening or qualification, supervise check-in and check-out, and verify that nothing’s missing when the tenant leaves. Many property management companies offer both services. And when they do, ideally, they’ll have a separate fee structure for each service. This will be a real advantage in cases where you find the renter yourself (and only want property management), or when you can easily take care of the property yourself and only need someone to find and manage renters. In this article, I’ll use “property manager” in its generic form, to cover both rental and property management services. Statements: Make sure they provide monthly statements, showing the income and expenses for your property. Records: The property manager should have receipts available for any maintenance performed, items replaced, or bills and taxes paid. Payment processing: Review the property manager’s methods of payment—both how he processes payments from the tenant, as well as how he gets the money back to you. Be aware of any fees charged, or any unfavorable games being played with the exchange rates (if you’re not renting in dollars). Assistance: Make sure the property manager is easily available and responsive in case your tenant has a problem or emergency, and that the tenant has his contact information. Verify they have a good web presence with high Google rankings. Meet and greet: A friend of mine rented an apartment in Medellín for a one-week stay. He was dropped off in the dark in front of the building, and left on his own to talk his way past a doorman who wasn’t expecting him…in Spanish. If you care about repeat business, make sure your property manager meets your tenants, and shows them into the property, no matter when they arrive. Bill paying and taxes: On the three rentals I operate right now, all of the utilities, phone, and cable bills are direct-debited from my bank accounts, with electronic statement delivery. This is the surest and easiest method for all concerned. But if you’d prefer not to direct-debit (or don’t have a local bank account), then your property manager should do this, and save the statements for you. Maintenance items: Property managers should do a periodic check for any maintenance items that need attention…and they should have qualified personnel to fix anything that requires it. Brief inspections should be performed between tenants, and occasionally while long-term tenants are in residence. Cleaning: Unless you have your own maid for the property, the best place to get cleaning services is from your property manager—both while your tenant is in residence, and between tenants. Many property managers have a staff of trusted maids, who not only clean, but also serve as another pair of “eyes and ears” looking after your property. My approach is to go with a recommended manager, when possible. If you know other owners who have rentals in the same area, seek out their advice. Find out who’s happy with their property manager, and who’s not. Then perform a Google search to see which rental agencies come up first since it’s likely that this is the way your prospective tenants will start their own search. If you’re targeting the English-speaking, and expat markets in Cuenca, Ecuador, for example, try searching “furnished apartment Cuenca Ecuador” and you’ll get the top English sites. If you’re targeting the local or Spanish-speaking markets, try “departamentos amoblados Cuenca Ecuador” to get the top Spanish rental sites. High Google rankings for property managers should place them high on your own list, too. It will also be worth your while to sit down with any candidates for a talk, prior to signing on with anyone. They can describe their services and answer questions about the market…but you’ll also come away knowing if this is someone you want to work with. Take a good look at their proposed contract, to make sure they’re taking responsibility for the important tasks you need them for—things like collecting the security deposit and rent. Also, they should be responsible for taking inventory before and after a rental, and collecting for any missing items. Verify that the property manager’s fees are reasonable and competitive, by checking with others in the area. Also ask the property manager if he has a particular type of tenant that he specializes in. If so, see if it matches the kind of tenant you’d like to have. And make sure that he’s willing to establish any restrictions that you want to impose on the property: things like smoking, parties, pets, etc. Finally, the best time to find your property manager is actually before you buy your rental property. There’s no better way to find out the type of property that rents best, the locations that are most sought-after, and the type of tenant that you should target. And after your purchase, he may also have some useful connections to help you with renovation and decorating. Managing an income property is one of the best real estate investments you can make today. And taking the time to find a good property manager will help you to realize the potential of your property, while making the experience as care-free as possible. Editor’s note: This first e-mail is from a citizen of Uruguay, who currently lives abroad. She indeed signed her name, which I’ve withheld. Lee Harrison’s version of Uruguay certainly made good copy, but a lot of romantic fantasy went into it. Nevertheless, we hope it succeeds in steering buyers to Uruguay, as we need to sell our properties there to the next sucker! For openers, how exactly could a chacra be a “self-sustaining home”? By using it to grow all your own fruit and vegetables, perhaps? That is backbreaking full-time work, and forget about selling the produce for profit, this is a country where small farmers are going out of business. And if the chacra is going to be used as a vacation home for part of the year, there would have to be a caretaker to mind the property during the owner’s absence for sure. According to the author, owning a chacra would grant a person “a presence for Uruguay’s renowned residency and second citizenship program.” Getting residency is Uruguay is not easy, and it does require continued residency. The immigration authorities will soon catch on if you only live here during the summer months. The process takes years…plus I never knew Uruguayan residency had “renown”, wow! Bank secrecy is a myth, it no longer exists as it can be lifted by judicial order. Uruguay has signed agreements to exchange financial information of foreign residents with several European countries. Additionally, country property everywhere, Uruguay being no exception, is notoriously hard to sell. Fast, modern highways in Uruguay? Heavens! As compared to what? Potholes everywhere are what I see, except on the road to Punta del Este. Free wifi on busses? This is only true in a few bus lines; it’s not widely available. The connection available in most main squares of towns is meant for school kids and is far from satisfactory for most other users. Finally, I’d say the culture is honest (as the author asserts) but NOT hard-working. Laid back, yes! I would add that inefficiency is rampant, and Uruguayans by and large are not good communicators—they talk a lot but convey little. Getting the right info in Uruguay is like pulling teeth, and absolutely hopeless if you do not have a good command of the language. By the way, I do not think the article mentioned the not unimportant fact that the language spoken in Uruguay is SPANISH…just imagine trying to run a chacra in Uruguay with English as your only language! Too, too funny for words. Just gave your e-letter about Uruguay a careful read. I have been living in Uruguay for almost four years and can confirm everything you have said about Uruguay, its government, and its laid back citizenry. I love Uruguay and their freedom loving, live and let live, laid back style. I have now visited all 48 of the contiguous states, having lived in at least 10 for periods of six months to 18 years. I have visited close to 20 foreign countries—many for three months to almost four years. I have found almost everyplace I have ever visited livable, and even inviting in some aspects. However, I don’t think I will find anything as appealing as Uruguay. Glad to second your motion on this delightful part of the universe! Do you know of any investment property which can generate good returns and provide you residency? Three things come to mind, and the first two are in Colombia. If you buy a rental apartment, you can expect to net between 7% and 8% by renting it furnished, by the month. A US$113,000 purchase would qualify you for temporary residency in Colombia­—a residency that would need to be renewed annually. A purchase of over US$211,000 would qualify you for a five-year resident’s visa. 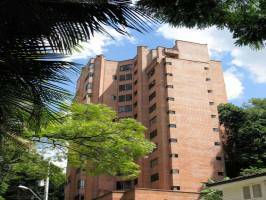 Alternatively, First American Realty Medellín offers a number of smaller investments that you can make in their renovation or development projects. These pay as much as 8%, and the minimum investment to get a visa is US$32,400. (Other minimums may apply for a specific project.) These dollar amounts reflect an exchange rate of 1901 pesos per USD. Contact Rich Holman of First American Realty for details. The third idea is from Ecuador, where you can qualify for permanent residency with a US$25,000 investment, which can be your property. Larger cities have a mature rental market, and good rental managers who cater to expat owners. The only caveat with Ecuadorian residency is that for the first two years, you may only be out of the country for 90 days per year.